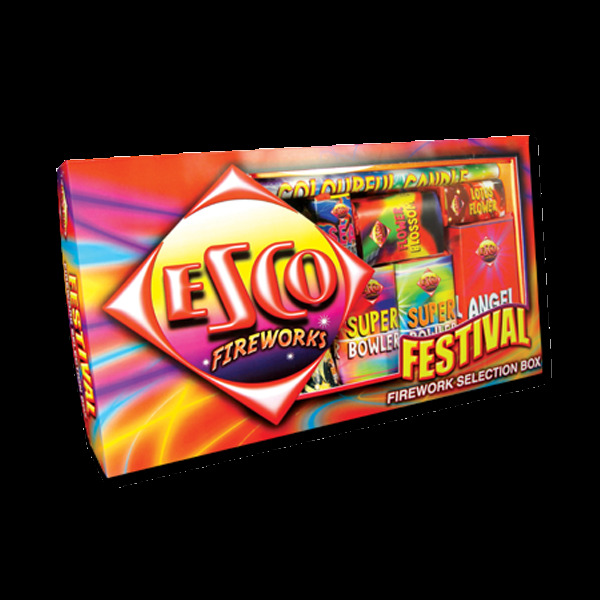 Selection Box of 16 Fireworks containing a mixture of Roman Candles, Fountains and Mines. 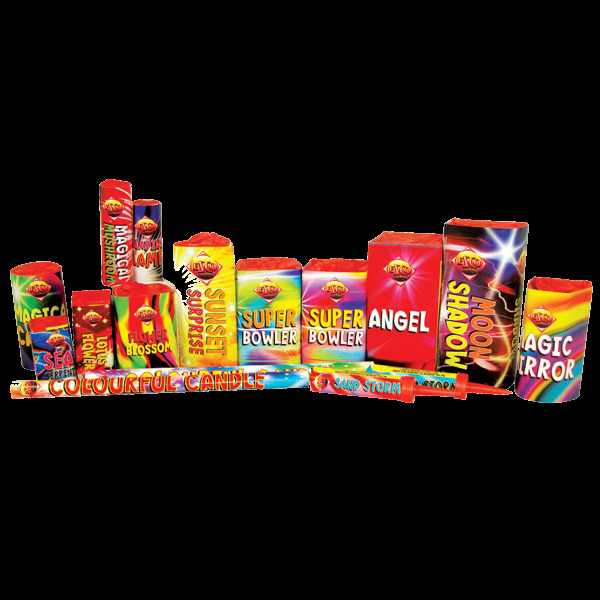 Family selection box of fireworks including Roman Candles, Fountains and Mines giving you an array of colours and effects for a great fireworks display. I Bought the Festival Selection Box for my daughter’s birthday and it was very fun, we enjoyed all the different types of fireworks. Excellent for younger children.